Your children are your world, and you want to give them the best in life starting from infancy. Promote the love of learning by bringing them to Kids Kampus Learning Center! We are a Cedar Rapids child care facility with quality long term staff. Our center offers child care with full time preschool and fun afterschool programs. We use thematic monthly units to create learning areas. We meet your family's needs from infancy to 12 years old. We strive to provide a safe, nurturing environment that challenges children with creative activities. Learn more about our programming by reaching out to Kids Kampus Learning Center! Our care givers and teachers are highly trained and dedicated to providing a hands-on learning experience your children will love! 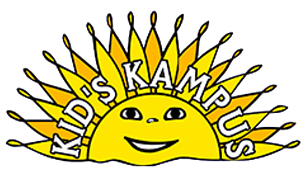 Contact Kids Kampus Learning Center to discuss enrollment. Come see our Cedar Rapids facility for yourself! Want to meet your children's care takers and see where they'll be spending their days? Drop by Kids Kampus Learning Center for a tour. We want you to have full confidence in where you're leaving your little ones, and know they're in the best hands. You'll get to meet our friendly and knowledgeable staff members and have all of your questions answered. Become familiar with our center and learn more about our approach to facilitating learning! Call Kids Kampus Learning Center to set up a walkthrough. Copyright © 2019 Kids Kampus Learning Center Inc, all rights reserved.